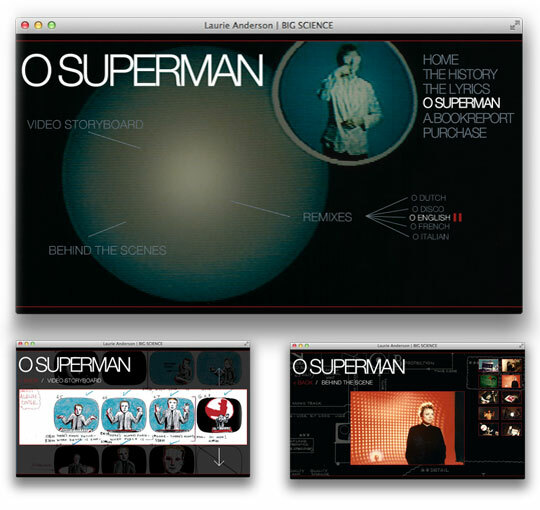 25th anniversary of Laurie Anderson's debut album Big Science. 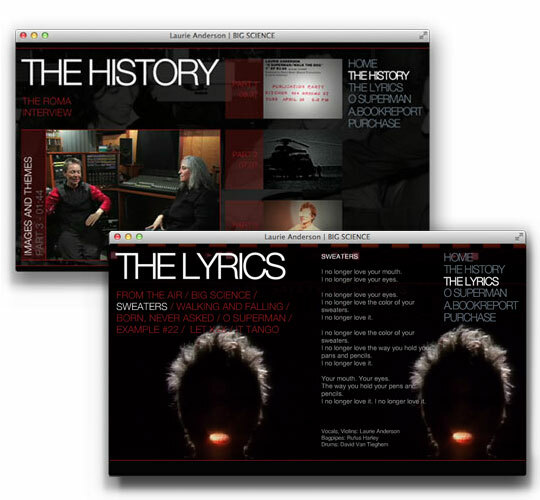 For the microsite we were able to play with archival materials, storyboards, technical diagrams, and other great ephemera from that period. 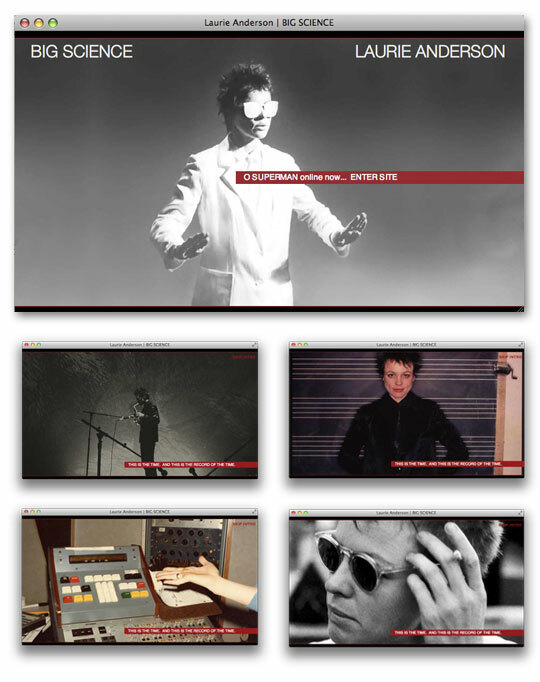 The site also contains new interview videos, lyrics, and remixes. The album was re-release by Nonesuch Records in 2007.